As one of the first bigger poker rooms, Party Poker entered the mobile poker business in 2012 already by releasing its Android App. In 2013, the App for iPhone and iPad followed. Due to regular updates and expansions Party Poker is still one of the best poker Apps on the market. Since the poker room works with native Apps only, which can be downloaded as an apk or from the AppStore, also when playing on their smartphone or tablet, poker players enjoy the same stability and speed as when playing poker on their PC or Mac. Over the years, Party Poker has added more and more poker variations such as Fast Fold or Jackpot Poker, which is why the App is still totally up-to-date in 2017. We’ve played the Party Poker App extensively several times and in this test we’ll let you know about what we’ve experienced with Party Poker. On this page, you get all information on the App, the download, the Party Poker bonus and the terms and conditions. Of course we know that not all of our readers have the time to read the whole test, so here’s a short overview of the jump markers that lead you to the different chapters directly. Just click on one of the links in order to get to the test’s part you’re interested in. New table design since summer of 2016. The App now offers multi tabling. 2. Enter all necessary data to open up an account for free. 3. After you’ve successfully registered you’ll be directly shown the download button for the Party Poker apk. 4. In case you already have an account, follow this link as well and then click on the Party Poker logo. This way you’ll cut short the registration process and you can download the mobile Poker apk directly. 5. If you want to play real money at Party Poker you shouldn’t forget to use the bonus code: By using our bonus code POKERAPPS you’ll get a 100% bonus of up to 325 Euros when making your first deposit. For more information see the chapter “bonus” below. 2. Pass through two short steps in order to open up your free account. 3. As soon as you’ve finished the registration you’ll be shown the current link to the iTunes AppStore. This is where you can download the Party Poker App directly on your iPhone or iPad. 4. Again: If you have an account already, follow this link as well and click on the Party Poker Logo. This way you’ll skip the registration and you can download the iOS App right away. 5. If you want to play with real money at Party Poker you shouldn’t forget to use the bonus code: By using our bonus code POKERAPPS you’ll get a 100% bonus of up to 325 Euros when making your first deposit. For more information see the chapter “bonus” below. In case you’re not sure whether Party Poker is a reliable company we’ve collected the most important facts, which should help you to judge Party Poker’s reliability. Party Poker is one of the oldest online poker rooms and has build up an outstanding reputation over the years. Since 1997, Party Poker’s mother company Partygaming has been active in the online gambling industry. The poker room is run by Electraworks, which belongs to the huge gaming group of bwin.party, which again was taken over by GVC Holding in 2015. The company is listed on the stock exchange, is regulated by – among others – the British gambling commission and does everything to make sure that games take place in a fair and reliable way. For example, Party Poker has itself certified by the examination board eCOGRA and by the iTech Labs voluntarily. This positive picture corresponds with our own experience and the feedback that we got from active poker players. Party Poker or rather Electra Works have established a very good reputation during the 20 years they’ve been on the market. Your money’s save. It’s about time to finally have a look at the Party Poker App in detail. What you’ll notice first is – compared to other poker Apps – the fresh appearance of the App. When doing a great rebranding, the old very classic impression made way for a new look. Some of you might still remember the red and yellow Party Poker chip on a green background. This is gone by now. The App, as well as the website for PC and Mac, is designed completely in white with a little bit of grey and orange. But does the modern look keep its promise? We’ve had a very detailed look at the App’s features and tested them. Whereas Party Poker for Android and iOS used to only offer cash games at first, the App has definitely developed over time. Almost the whole desktop client’s range is also available in the mobile App. You can select from a large number of poker variants in the lobby. Party Poker offers a great selection of Texas Hold’em cash games in different variants for iPhone, iPad and Android. No matter if you want to play heads up or would like to compete with six to nine players at bigger tables – Party Poker has the right table for you. Next to numerous No Limit Texas Hold’em games there are also Pot Limit and Fixed Limit tables. Blinds start in the micro range with only a few cents and end at high roller tables with blinds of 50/100. 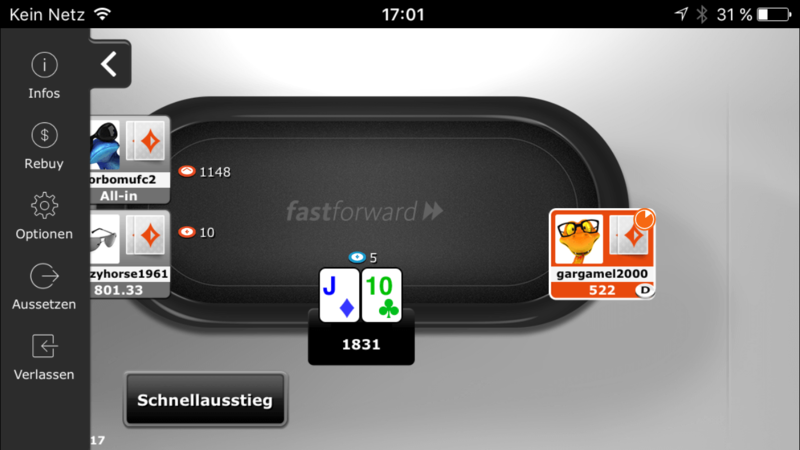 As every other good poker App, also Party Poker is offering a mobile Fast Fold variant, called Fast Forward. If you fold a useless hand at Fast Forward you’ll be seated at a new table immediately. Fast Fold is even more popular for mobile devices than for PC and Mac. This is due to the fact that on your desktop or laptop you can easily play at different tables simultaneously, whereas on your smartphone or tablet the smaller screen restricts this possibility. Fast Fold makes the gameplay considerably faster. This way you won’t get bored when playing poker on the go on your smartphone and you can play plenty of hands. Since summer 2016, when the multi table feature was added to the PartyPoker App, playing mobile poker at PartyPoker is even quicker. Since the beginning of 2015, Party Poker has also been offering tournaments in the App. That was an important change for the players. Because no matter if you only want to play a freeroll from time to time or if you play bigger tournaments with several tables regularly – thanks to the mobile tournament lobby there are no boundaries. Also qualifiers and satellites are available. Even when you’re on the go, you won’t miss any important games anymore. 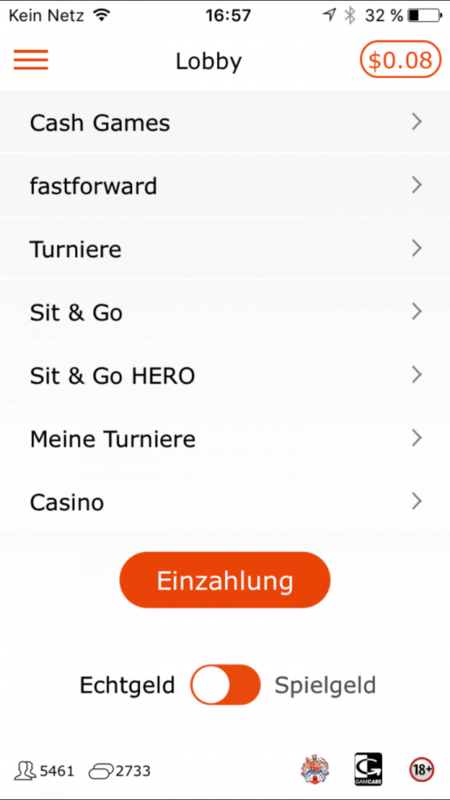 Next to the just mentioned multi-table tournaments (MTT) the App offers numerous Sit & Go tables as well. Just like every other game in the App also Sit & Go tables are only available in the poker variant Texas Hold’em. 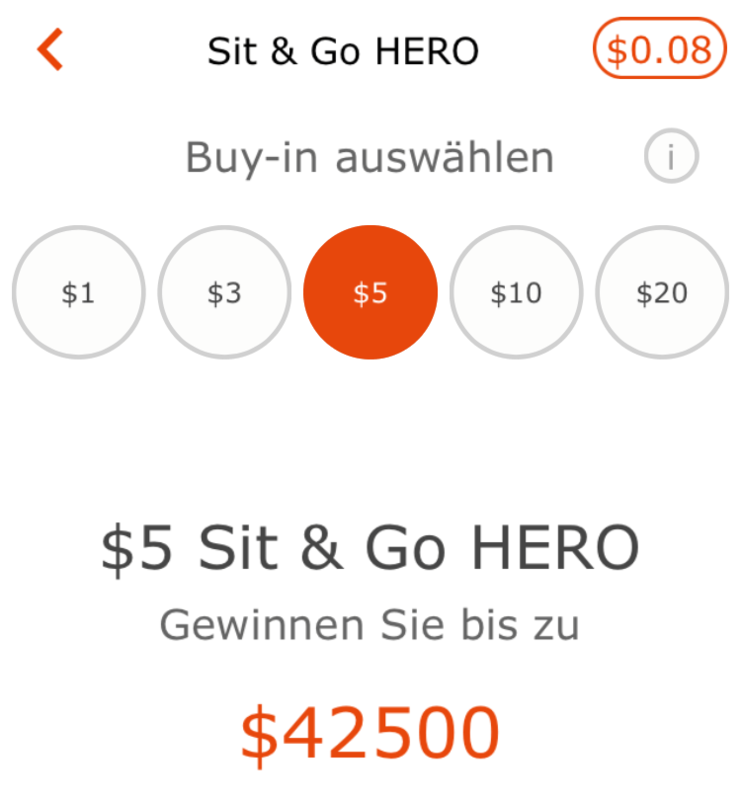 The newest feature, which was introduced in an update in Germany at the end of March 2016, is the “Sit & Go Hero” tournament. Hidden behind this name are jackpot games, which are called Spin & Go or Twister in other poker rooms. The charm of such jackpot Sit & Go tables: Even with small bets you can win huge prices. Sit & Go Hero is a super fast bounty tournament for four players at which the price pool is established randomly and lies between the twofold up to 10000 of the buy-in. On top of that there is a bounty on a randomly chosen player, which increases the action again. The new Sit & Go Hero games offer a price pool determined by chance. Except for the just mentioned Sit & Go Hero games all games in the App can be played with play money as well. You don’t need an additional software for that, you just download the same App, which can also be used for real money. You then switch between real money and play money in the lobby. As you can see, most of the popular online wallets and payment methods are available. Paypal is not in the list. Simply check your cashier to see if your country is among them. If not, the credit cards Visa and Mastercard, Giropay, and the E-Wallets Skrill and Neteller will most probalby do as well. When it comes to withdrawlas, the selction is slightly reduced. 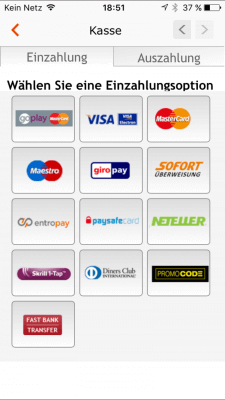 You can choose between goplay by Mastercard, Visa, Neteller, Skrill and Fast Bank Transfer. Our Tip: Go for a payment method that is available for withdrawals, too, when you make your deposit. This way you can be sure that everything will run smoothly later ion. At first here’s the good news: Party Poker is an excellent poker App without any noteworthy weaknesses. We’ve already mentioned the great amount of available games. But also apart from that, the App makes no mistakes. Since it’s a native App, which is installed on the phone or tablet directly, the loading time when starting the App is very low. In addition, the poker software runs very stably. During our extensive test the software didn’t even crash once. The App ran fast and fluently at all times. That secures a top grade in our test. If we really want to criticize something that would most likely be the filters. Though it’s basically great that we could theoretically see the whole range of available games in one and the same category, especially on a small smartphone screen the filter and sorting possibilities are a little too fiddly. Not all symbols, which let us e.g. sort the list of cash games concerning their buy-ins, are self-explanatory. However, this isn’t a real disadvantage in practice. Because after you’ve got used to it and you’ve understood the handling you’ll easily find your way in the lobby. Another point on the contra list was the missing possibility to play at different tables simultaneously. This was a feature that we would really wished for, if (like e.g. at Iron Poker) it was well implemented. Since 2016 we can now say that this point can be taken from the list. PartyPoker added the multi table feature. You can now play at up to four tables at a time. This is good news especially if you’re playing a tournament. With the old version of the Party Poker App there were some lengthy parts. The 2016 updates bringt the App to a new level. We tested the new feature short after realease and wrote a news about how to play at multiple tables int he app. To sum it up here: It is a matter of taste that you have to switch between the tables manually. But in the end we like the new version of the app very much. Party Poker did a good job. Even though the functions of the mobile Party Poker client are quite manifold the menu is very clearly arranged and self-explanatory. Just tap on the three orange-colored bars on the top left and the menu pops up. Under “My Poker” you find your balance for real money and play money. Bonuses and cashier should be self-explanatory. One click on casino leads you directly to the party casino that is integrated in the App. In the account settings area you can change your password and set the limits. The menu on a smartphone. The section that is most relevant for poker is called settings. This is where you can e.g. decide what the cards are supposed to look like (four-color-deck) and how the App shall inform you when it’s your turn (vibration and/or sound). All in all, the setting possibilities are shortened compared to function monsters likebet365 Poker. However, this has the advantage that the App is definitely more clearly arranged and beginner-friendly. What’s also positive: You have access to the settings when being in the lobby and also when sitting at the table during the game. After there had only been an App for Android at first, shortly after its start Party Poker also launched a native App for iPad and iPhone, which is available in the Apple AppStore. Again shortly thereafter Party Poker introduced Fast Forward also for mobile phones. In the course of 2014, there were several smaller updates that improved the mobile poker App. For example, by now the wheel with which you control the stakes reacts much better to touch commands and can be regulated more precisely. Next to such smaller changes and bug fixes Party Poker also introduced completely new gaming variants. Sine autumn 2014, you can also take part in Sit & Go tournaments. In January 2015, the lobby of the App was extended by a tournament menu. Multi-Table tournaments – whether regulars, majors, qualifiers or freerolls – are now available in the App as well. By using the filter options the player gets to its desired tournaments quickly and to play real money poker on the go. In March 2016, Party Poker released a new version of the mobile client – the jackpot games “Spin & Go Hero” were newly integrated. In August 2016, Party Poker released another big update: The multi table feature was added to the mobile poker app. You can now play at up to 4 tables at a time on your Android and iOS device. AThough Party Poker put a lot of effort into its mobile poker software for smartphone and tablet during the last couple of years, Partygaming definitely hasn’t forgotten about its customers who rather play poker on their PC or Mac. The Party Poker software is updated on a regular basis as well and it offers all features that are also available in the App. 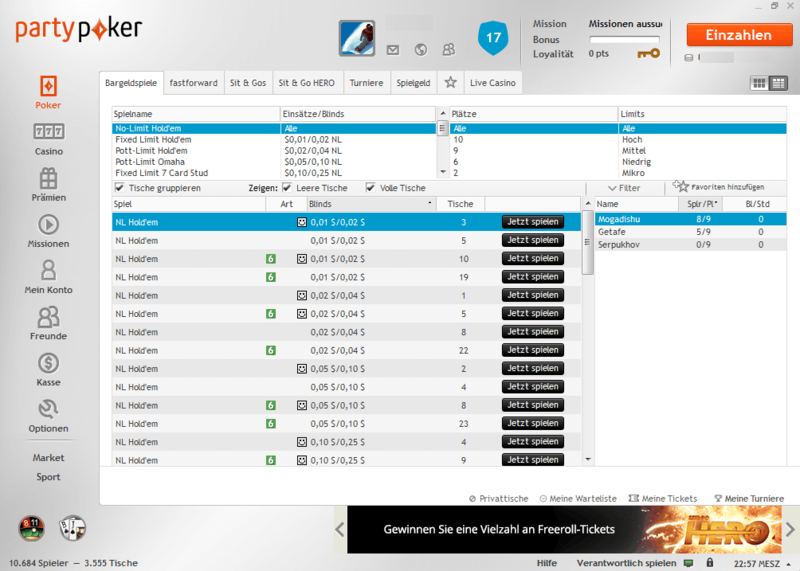 Also when it comes to online poker on PC or Mac Party Poker uses a download software. You can download the software directly from the operator via this link. Obviously, the download is free of charge. 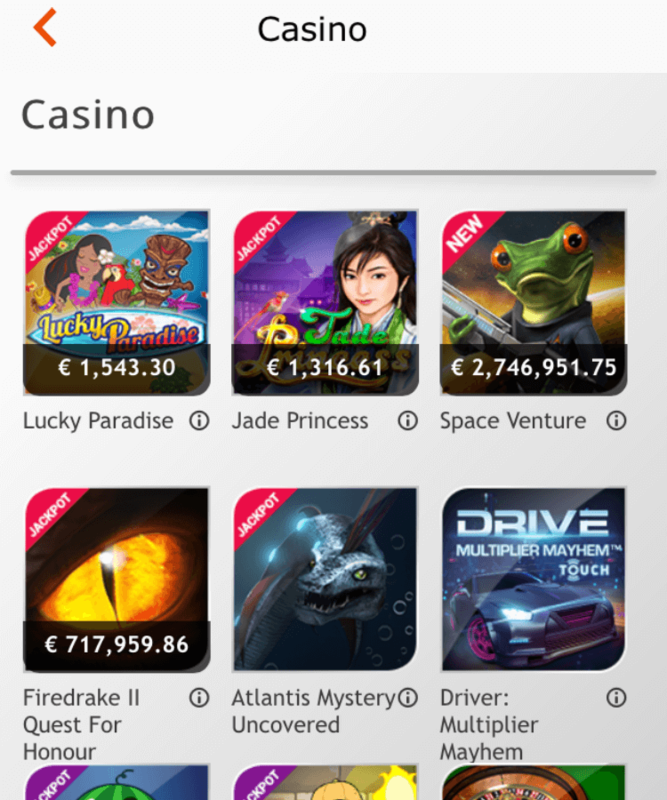 Do not forget to use the bonus code POKERAPPS when registering, in order to get the top bonus of up to 325 Euros. The Software for PC and Mac offers even more poker games. The desktop software’s range of functions is mostly identical with the App. But those who prefer online poker before mobile poker have the advantage of being able to play less common poker variants such as Pot-Limit-Omaha or Fixed Limit 7 Card Stud. Of course you only need one account for desktop and App. This way you can easily play Texas Hold’em in the App and Omaha Poker on your desktop PC. The party casino has been integrated into the App felicitously. Those who’d like an alternative to playing poker and to e.g. have a look at the very good live dealer range don’t need to leave the App. The party casino’s games are available comfortably through the App’s lobby. In case you only want to play poker, just ignore the casino. It has its own menu, which you can click on, but obviously you don’t have to. The Party Casino is integrated into the poker app. On its website, Party Poker advertises the free $20 welcome bonus. Though the word free is a little misleading in this case, because this is not a no deposit bonus. Only players who deposit at least $10 will get the bonus. Despite the confusion around the free bonus, the $20 are definitely an attractive offer for new players. If you deposit $10 to check out the poker room, $10 for cash games and another $10 for tournaments will be credited to your account. This way you can play with $30 even though you only deposited $10. More experienced players and all poker fans who would rather have a bigger bankroll can profit from our exclusive bonus code POKERAPPS that can get you a bonus of up to 325 Euros (see next chapter). 1. Follow this link and enter all necessary data to open up a free account. 2. After your successful registration you’ll be forwarded to download the Party Poker software or App. 3. When being in the App, open the menu and then “Bonuses”. This is where you can activate your bonus. 4. With one click on the arrow pointing downwards you can see the bonus in detail. 5. Now you can chose cash games in the lobby ($10) or you can activate your free tournament tickets in the menu section under “My Poker”. To those of you who would like to get more than a $20 bonus we recommend our bonus code POKERAPPS. This special bonus is a 100% bonus, which means that Partygaming doubles your deposit. The higher the amount that you put in your account with your first deposit, the higher the bonus. At most you can reach a total bankroll of €650 by depositing €325. 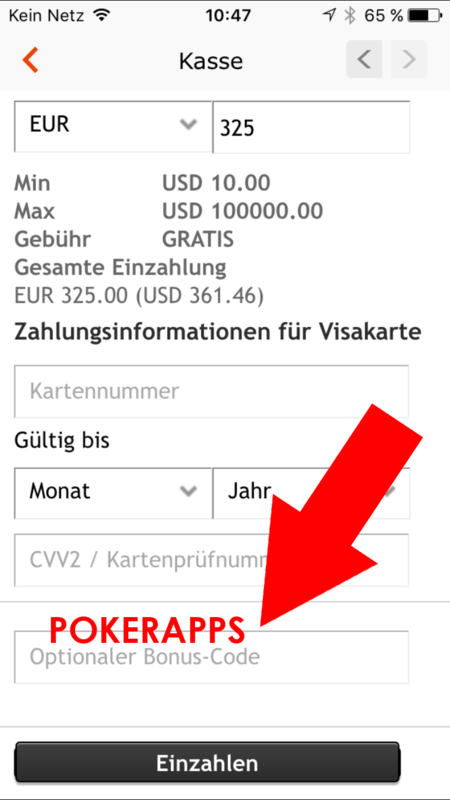 In order to do so you need to enter the code POKERAPPS when making your deposit (see screenshot). Whereas you can directly use the free $20 bonus, the bigger 100% bonus is attached to some conditions that we’ll have a closer look at in the following. The reason for the bonus conditions is clear: Partygaming is trying to protect itself from misuse and fraud by preventing that bonus money is just paid out or lost to a friend deliberately. Those who make use of the 100% Party Poker bonus by using our bonus code POKERAPPS get a pending bonus in the size of their deposit credited to their account. The more you play, the more bonus money is converted into real money. The bonus is credited in $10 steps to your real money account. In order to unlock one dollar you have to make 8 party points. Therefore, with each 80 points $10 are credited to your account. You have 120 days to unlock the whole bonus. This is a very fair amount of time. And in case you need access to the money you deposited for some reason, that’s not a problem. It’s common for poker bonus offers that players can withdraw their money at any time. In this case, the pending bonus expires. However, in contrast to the terms and conditions of some casinos there is no clause here that prevents you from withdrawing the money you deposited. Therefore, Party Poker’s bonus conditions have passed our check. You can use the Party Poker bonus unhesitatingly. Without doubt: Party Poker has made its homework over the last years. Whereas the App left a rather unattractive impression in our first tests, by doing several updates it has now developed into being one of the best products for mobile poker play on mobile phone and tablet. The iOS App as well as the apk for Android has made an excellent impression in our recent test. The integration of Fast Forward, multi tabling and the jackpot Sit & Go games in 2016, as well as the linking of the App and the party casino make Electrawork’s App one of the best on the market. Our own Party Poker experiences as well as the rating from other players round up the excellent general picture. Due to the current bonus offer it is especially worthwhile to give the mobile Party Poker software a shot. 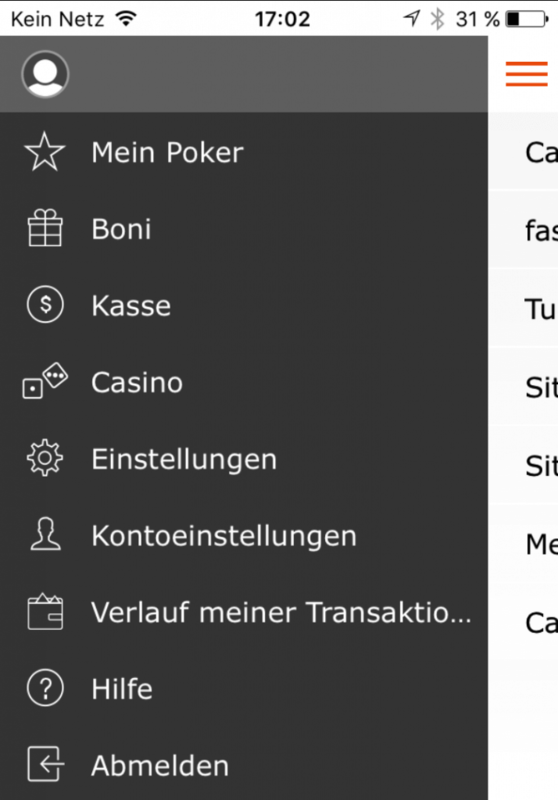 Die Party Poker App hat in den letzten Jahren stark aufgeholt und gehört inzwischen zu den besten mobilen Poker Clients auf dem Markt. 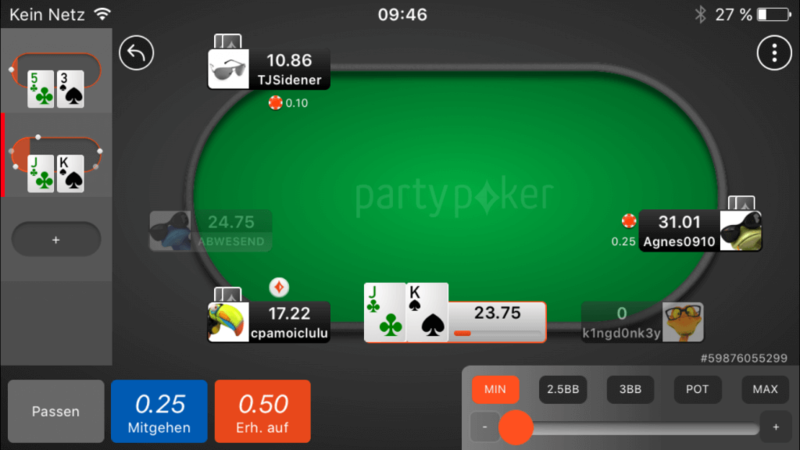 Die Party Poker iPhone App und die Party Poker Android App haben im Test gleichermaßen überzeugt. Fast Forward, Multutabling und Jackpot Spiele sorgen seit 2016 für jede Menge Action.